If you live or work in Liverpool and you need a red diesel delivery to your site, Crown Oil is your best option. We are red diesel suppliers in Liverpool and we can deliver any one of our many fuels to any required location in Merseyside. We have gas oil customers in the private and public sector – e.g. construction sites, airports, factories, industrial units, schools, NHS hospital, farmers, marinas & ports etc. Whether you buy red diesel to keep your machinery running or use it as a fuel for heating, we have the oil to fulfil your needs. 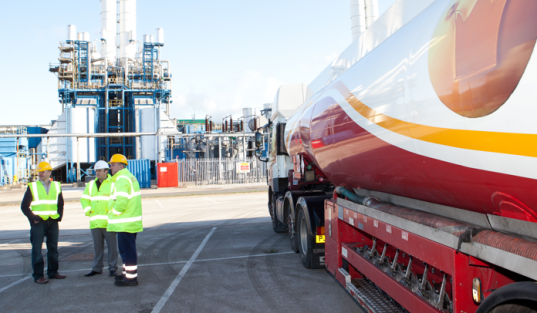 As fuel suppliers for over 65 years, we can guarantee you will be satisfied with the quality levels of service, products and availability we have to offer. Order your fuel now! Call Crown Oil on 0845 313 0845. Liverpool is an awesome vibrant city with so much cultural diversity and an electrifying nightlife. It’s home to one of the world’s greatest football teams and many international festivals. Liverpool’s music scene is second to none with the Cavern Club launching the legendary Beatles on their long road to fame and fortune. Like every other city in England, Liverpool has succumbed to the hike in piped gas and electricity prices. If these enormous price movements weren’t enough tax is then applied on top of those prices, making a residential or commercial property a very expensive place to heat. Not only heating is affected though, fuel prices have also seen a sharp rise over the years and this is where our gas oil prices can help your business. When you buy red diesel from Crown Oil, you’ll receive competitively priced gas oil delivered on-time, every time! Crown Oil has the alternative answer to expensive fuel costs for heating and fuel. Red diesel is a cheaper method to heat homes, schools, and any other buildings or areas. Red diesel fuel does not have a heavy duty tax similar to diesel engine fuel tax which makes the price rise significantly. Gas oil has been used for decades as a cheap source of power in certain industries and for farming vehicles. Our red diesel supplies in Liverpool offer a cheap fuel to heat both business and residential properties. Gas oil is safe to use and ignites well providing a high temperature heating source. Many residential property owners are switching to this fuel as a cheaper alternative to other types of heating oils. Red diesel suppliers like Crown Oil, offer a friendly, one to one service with frequent deliveries direct to site and pumped directly into the fuel storage container.